The Capitol Reflecting Pool has always been a favorite hang out for the ducks of D.C. The Architect of the Capitol just made it even more desirable. Two ramps installed Monday are designed to assist the quacking members of the Capitol Hill community get in and out of the water. 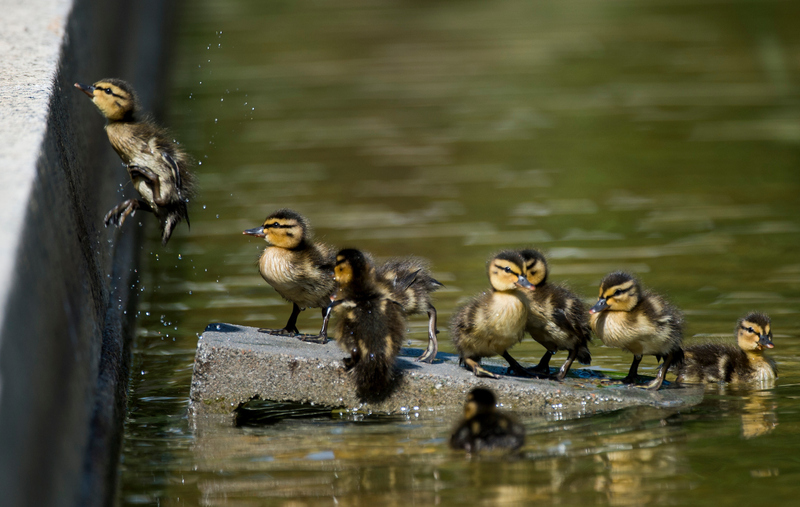 The ramps were a collaboration effort with City Wildlife, a non-profit that rescues and helps wild animals in D.C.
Two families of ducks call the pool home, according to AOC. It spans six acres and half the D.C. area called Union Square. As temperatures are rising in the Spring, more and more ducks come out to play in the pool. Just last week, an HOH reader took a photograph of ducks hiding from the hustle and bustle of the Capitol.